Victory Services Club has achieved the mia’s AIM Gold accreditation for a fourth consecutive time, building on the accolade of being the first London venue to achieve the award in 2008. The conference and events venue has once again achieved the highest possible level of accreditation from the UK’s nationally recognised standard for service providers in the meetings, conferences and events industry, after a panel of independent industry assessors scrutinised the venue against a robust checklist of criteria. All AIM-accredited venues undergo a vigorous process to ensure they are fit for purpose and implement decent and ethical operations. Covering everything from facilities and legal compliances to performance against a strict code of conduct, to achieve the Gold level accreditation, venues must display superior service throughout the entire customer journey. 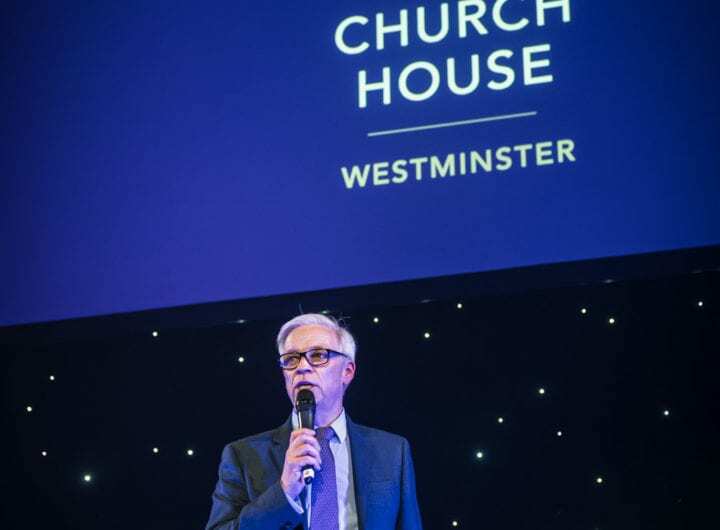 Victory Services Club, which is based in Marble Arch, has seven event spaces, 202 bedrooms and can cater for events up to 300 in the Carisbrooke Hall which is now open following an extensive £1.5 million refurbishment. The club was found to be a well-organised, administered and managed operation with each aspect of the business supported by detailed policies, processes and procedures. The mia also noted the club’s dedication to staff training, with even casual and agency staff put through an induction programme and permanent staff continuously developed. Sustainability is also high on the club’s agenda. Over the past five years Victory Services Club has undergone a £7m refurbishment. In addition to the Carisbrooke Hall, the club boasts the El Alamein and Trafalgar Suite that seats up to 200 theatre style – and separates into two rooms: the Trafalgar Room seating up to 80 theatre style and the El Alamein Room seating up to 100 theatre style. The Club also has four other meeting rooms for smaller meetings, breakout sessions, seminars and private dinning. Mark Field FIH, operations director, Victory Services Club said: “The preparation for assessment is demanding but achieving Gold again is the ultimate benchmark of quality. We view it as a vote of confidence in our facilities, our high standards across what is on offer, and particularly, in our staff. We have a dedicated in-house team who take every measure to ensure an event runs as smoothly as possible and are on hand to deliver the flexibility, knowledge and expertise for every step of a client’s journey with us”. For more information about AIM and AIM Higher Accreditation, visit www.mia-uk.org/aim. August has been an extremely successful month for our venues in both the 2017 London Venue Awards and Hire Space Awards. In total, 96 venues have been recognised for excellence and best practice by the awards and all will go through to the finals on Friday, 20 October at The Brewery in London when the overall winners will be announced. In addition, London Transport Museum and Cavendish Conference Centre have been shortlisted in the 2017 Hire Space Awards in the Best Conference Venue and Greenest Venue categories respectively. The winners will be announced on Friday, 24 October at Landing Forty Two at the Leadenhall Building. We wish all our member venues the very best of luck in their respective categories. To find out more about all these venues, click here. Westminster Venue Collection is delighted to announce staff from member venues Cavendish Venues and the QEII Centre have been short-listed for a place on the Meetings Industry Association’s coveted miaList. Paul Martins from Cavendish Venues and Roopi Woodall, Roberto Goncalves, and Charlotte Best from the QEII Centre are all hoping to have secured a place on the prestigious 2017 roll of honour, which recognises key individuals from the meetings, hospitality and events industries who go above and beyond the call of duty. We wish Paul, Roopi, Roberto and Charlotte the very best of luck when the winners are announced at a celebratory lunch on Friday, 6 October 2017 at Park Plaza Victoria, London. Follow us @Venues_Wminster for updates and news on this, and all other WVC news. An impressive four venues from the WESTMINSTER VENUE COLLECTION HAVE been SHORTLISTED IN THE PRESTIGIOUS CONFERENCE AWARDS 2017. The hotly-anticipated announcement saw Cavendish Conference Centre and IET: London Savoy Place shortlisted for the ‘Best Conference Venue (under 300 theatre) category, QEII shortlisted in the ‘Best Conference Venue (over 750 theatre)’ category and both IET: London Savoy Place and One Great George Street in the running for the ‘Best Venue Customer Service (under 500 delegates)’ award. The winners will be announced on Friday 30 June. To find out more about our award-winning collection, just click here.